JAY - Jeffery A. Nadeau, 67, a resident of Jay, passed away, Friday, March 22 at his home, surrounded by his family. He was born Oct. 12, 1951, the son of Arris Nadeau and Eleanor (Trask) Nadeau. He was in the last class to graduate from Wilton Academy. He worked as a welder and fabricator for Cianbro, Forster Manufacturing, Boise Cascade and M-T Pockets Trucking. On Nov. 12, 2013 in Wilton he married Paula Hiscock. Jeff served for 25 years as a volunteer firefighter for North Jay Department. 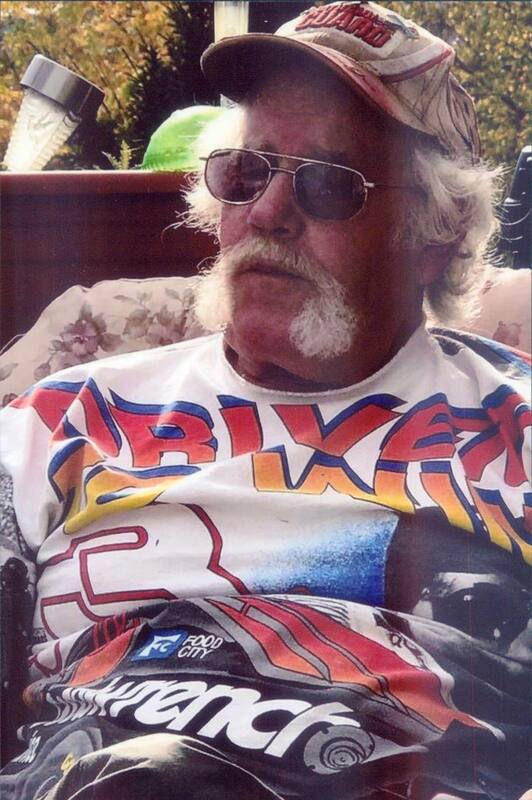 He enjoyed woodworking, riding motorcycle and avid fisherman. Jeff was also a race fan, he raced at Oxford Plains Speedway and attended many NASCAR races. He was known by many for his great story telling. Our PRAYERS and condolences to the family. Worked with Jeff for many years at Forster's. He was also an avid cribbage player. The FalconThank you for that memory. He so many talents and hobbies we didn't remember that one. One of the group in the Academy. A good friend. RIP my friend. We worked on a lot of cars!! Jeff was so kind, and I loved the talks we had with him when we came up to drop off Ray's things & to visit your fairy gardens with my daughters. I wish I could come to the funeral with Anna but I don't want to get anyone sick. We started school together at the 2 room schoolhouse in Dryden. He taught me how to throw aand catch a baseball. Also how to bat. We graduated together at the Academy in 1969. What a great guy! Jeff warm, sincere and loving presence will be deeply missed by his church family. I will miss his giant hugs and the special honesty behind it when he said "it's good to see you too"! Jeff meant every word he said and his words came from love, every time. Paula, we are here for you, as are all the folks who filled the church yesterday for Jeff's service, plus many more. Can't convey the sadness felt reading this. Longtime friend, for almost 50 years. Prayers and condolences to his family. Cannot convey the sadness felt reading this. Jeff was a longtime friend and fellow co-worker spanning 50 years. Also sharing same birthday. Will love and miss you, my friend. Prayers and condolences to his family. Keni I wish I had known how to contact you. You were very special to him.